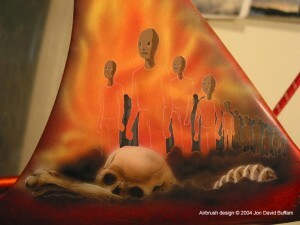 The majority of airbrush artwork I’ve done has been on lowrider bicycles. 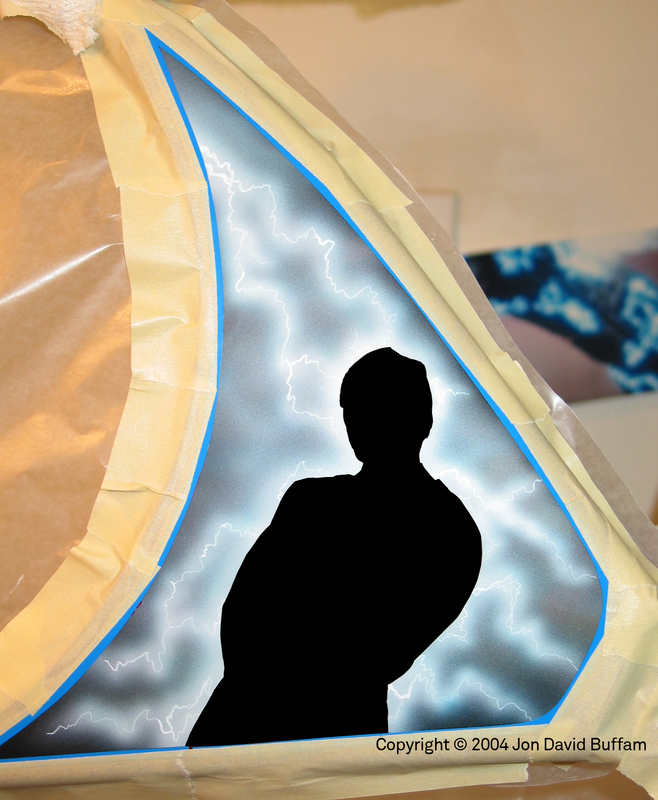 A fun medium to work on! 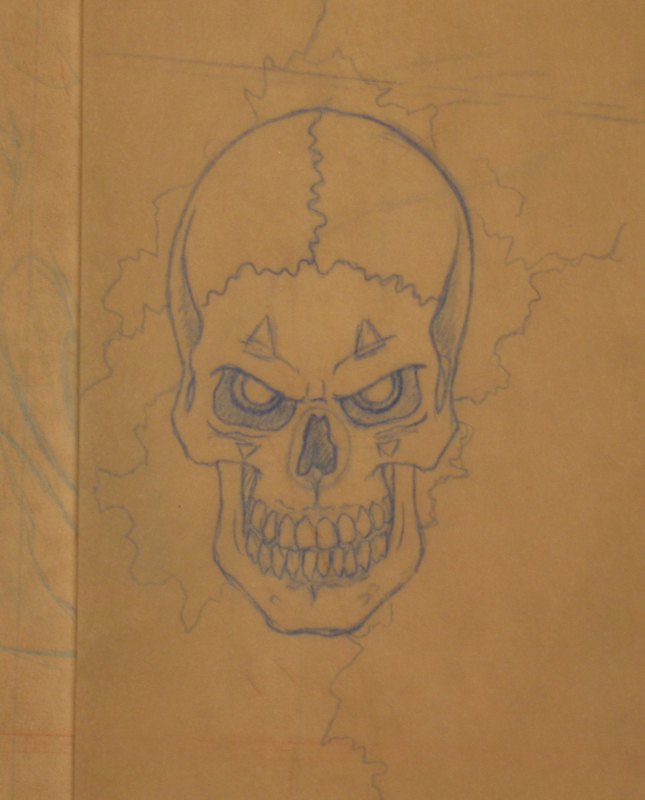 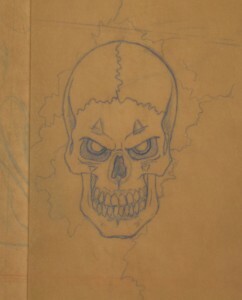 Initial sketch of above skull mural. Below is artwork I did on a “Grim Reaper” themed lowrider bicycle. 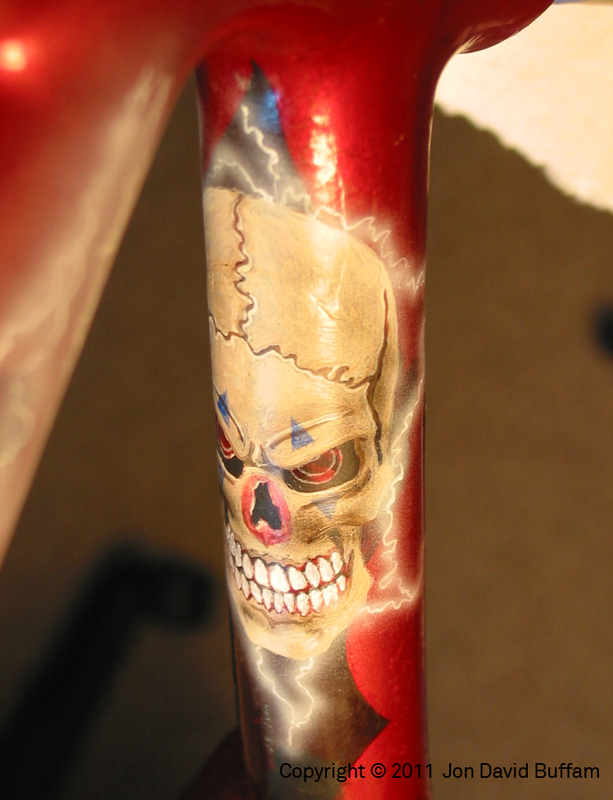 Below is artwork I did on a “Rey Mysterio” themed lowrider bicycle. 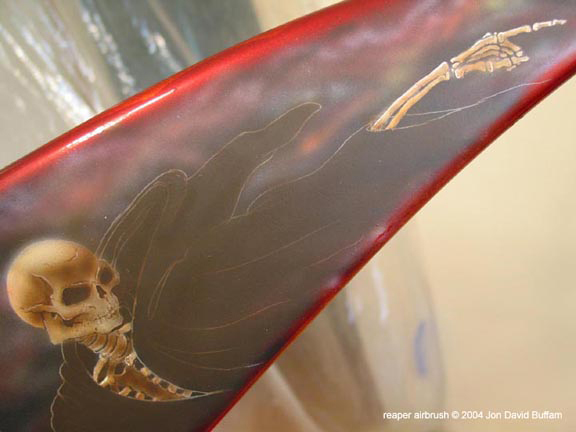 Side of tank, Bird symbol, Rey Mysterio bicycle. 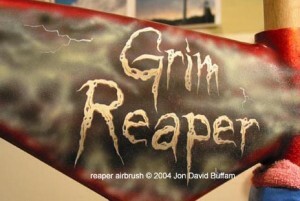 Airbrushed and hand-painted. 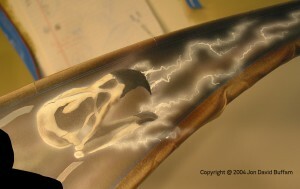 I added lightning behind the previously painted character on the Rey Mysterio bicycle. 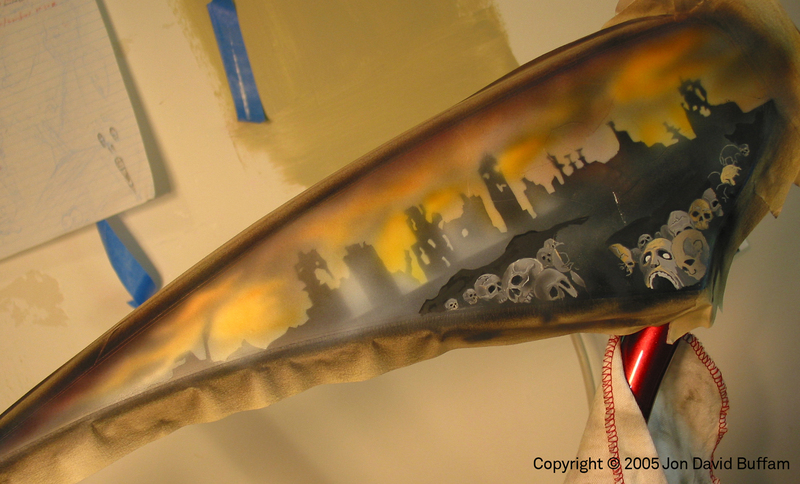 Here I added a chaotic background to the side tank of the Rey Mysterio tank.